This is the peak hour for stoned teenagers buying shiny things! 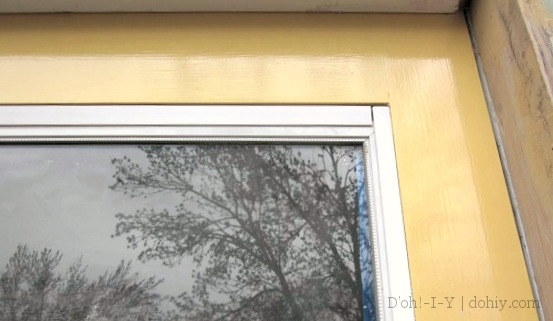 When we found our new storm door, I started looking for the right paint. 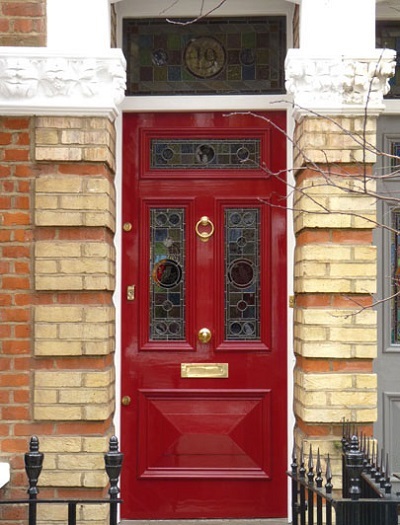 I knew the color we were using, but I wanted to find a true high-gloss door paint that would give the finish you find on many British doors. Perhaps most famously on this particular door. “Gloss” paint (US: seriously, no real well-known equivalent. High gloss? But that’s not as shiny as British gloss) comes in any color you can imagine, and graces all sorts of exterior doors, grand and otherwise. The internet kept referring me to Fine Paints of Europe, but there’s only one retailer in the state, and it’s not conveniently located. 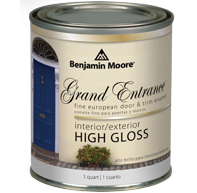 Then I happened upon Grand Entrance, a new product from Benjamin Moore designed to achieve “European” standards of shininess on doors and trim. It only comes in quarts, which is fine for door use. It runs about $40/quart, which seems steep, but (a) it’s $40 and (b) it does the job. 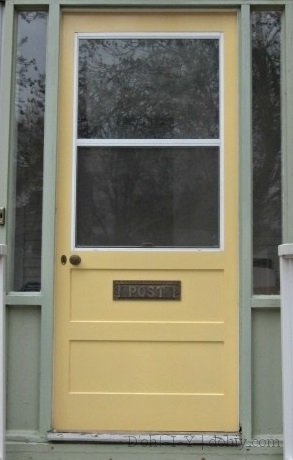 Plus, I’ll paint the back door this color in the spring, so it’s $20/door. I had it tinted to match Valspar CI83, Beehive, a color I’d tried out on the old vinyl door. The Kev painted the storm door while I was out of town. With the paint, I picked up a brush that promised an “ultra smooth” finish. I’m a sucker for ultra-anything. Ultra Kev applied two primer coats, using a high-grade exterior primer. The wood really sucked up these coats, so he sanded all the overlaps and laid down another primer coat. 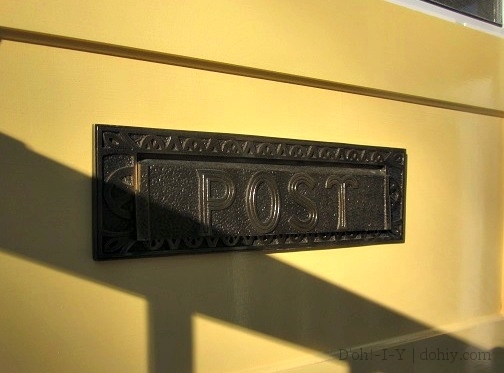 He also painted the inside face and the edges with a standard white exterior paint that matches the inside of the porch and let that set up completely before starting on the fancy paint. Grand Entrance is a “waterborne alkyd enamel paint” — I don’t know much about paint technology, but the practical upshot is that it takes a long dry time. The incredibly tiny print on the can specified 16 to 24 hours between coats (at least, that’s what I think it said). Kev gave it two coats, and then we let it cure for three extra days after it seemed to be bone dry to install it. We installed it on a cloudy day, and most of the photos did not show the high gloss. Ooh, there’s a bit of gloss! I waited until a sunny morning to run out and take some more detail shots to show off the shininess. 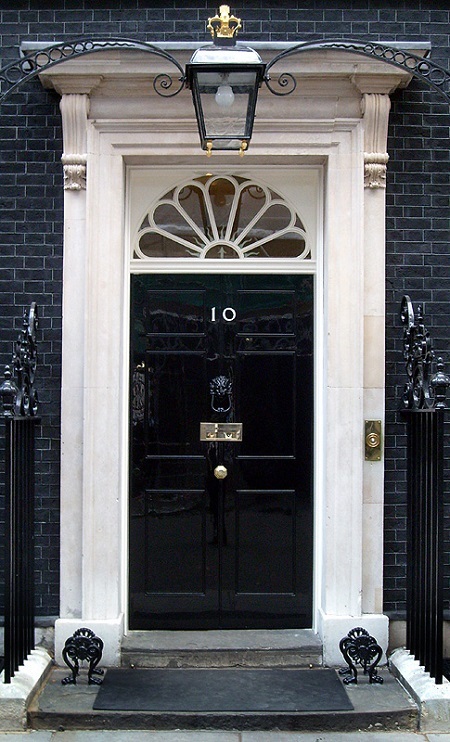 It’s not a British door, but it looks super-shiny! Way to go, Benjamin Moore (and Kev)! 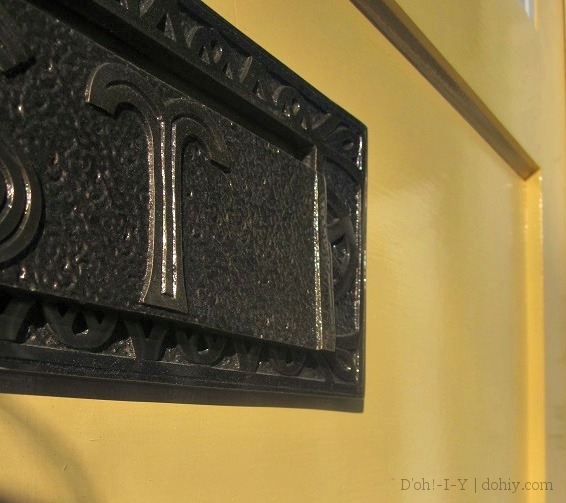 For more on our wooden storm door saga, check out how we found it, how we prepped it, how we picked the hardware and how we installed it. Our main piece of advice: start earlier in the year! 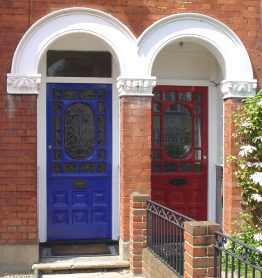 This entry was posted in American vs English, Decor, Windows & Doors and tagged Benjamin Moore Grand Entrance, English door paint, European door paint, Grand Entrance paint review, high gloss door paint. Bookmark the permalink. Hi! I am just wondering how this product held up over time? I live in sunny and hot Southern California and need a glossy black exterior paint for my window trim that holds up to the sun and water from sprinkers. 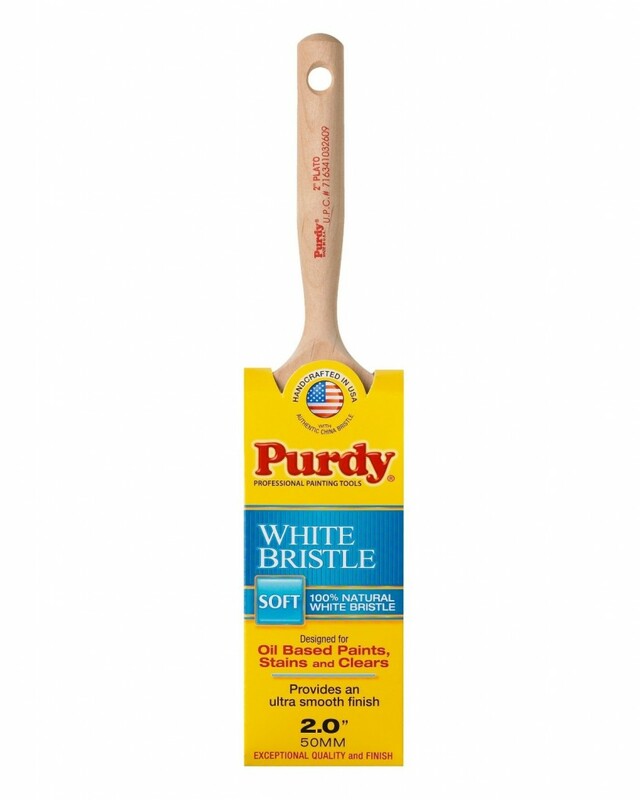 Would appreciate your opinion and updated review of this product as this is what I am about to get and having 28 large windows to paint, I’m hesitant to just run out and get it. Hi, DeEtte — I went out there yesterday and had a good hard look at the door. The paint is in good shape. There’s no cracking or peeling. It looks new! There was VERY slight fading as compared to the parts that are hidden by the door frame. I had to really look to see it. This door faces east, so it only gets direct sun in the morning, but it is exposed to rain and snow/ice. It’s not as sunny or as consistently hot here as where you are, but we do have 30-degree swings in a day pretty often, and the winters here are brutal. I would check at the paint store for how it weathers there, but it is doing well here. Let me know what you decide, and thanks for stopping by! Thank you for taking the time to look; to REALLY look! I went ahead and purchased it and have already used it on two of the windows on our balcony that looked the worst and used another “top of the line” exterior paint for the other two. The painter said it looked better and I will get to see how it holds up over the next couple of years. 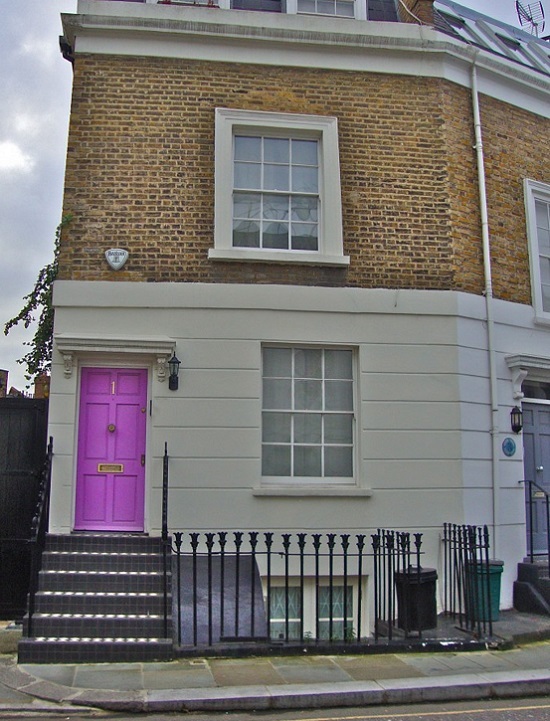 Having 32 windows, (most of which are the size of doors!) 8 doors and one large garage door all trimmed in glossy black paint, I want to do this as infrequently as possible. Thank you again for checking and replying to my inquiry! Hi, Marco — I haven’t used it on anything interior, but I imagine it would work fine. I’d contact the paint company for their thoughts, because I am so not an expert! I love the shiny look, but I bet the walls would need to be incredibly flat for it to not show every ripple or bump in the plaster. Basically, I think it would look great, but check with the paint company or store on their thoughts for inside use. Thanks for stopping by, and let me know how it goes. I purchased Aura Grand entrance to use on two antique dressers. I am wondering if you had any tips about the application of the paint. I know thin coats are required, but what tools worked best? Did you have to cut it with water? And how long after painting did you install the hardware. I didn’t cut it with water — I just used a reasonably good brush and thin coats. It is pretty good at self-leveling, but for a smoother finish, you could try a sprayer (in which case you probably would cut in some water). I honestly don’t remember how long I let it set up before installing the hardware, but it was probably a couple of days (just because it took me that long to get an opportunity! ).